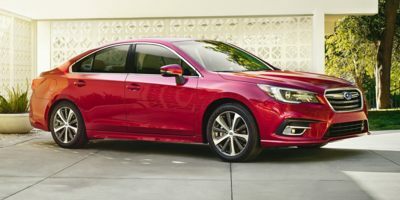 Buying a 2018 Subaru Impreza, and saving $1750 off of MSRP. Buying a 2017 Subaru Impreza, and saving $1000 off of MSRP. Buying a 2011 Subaru Impreza, and saving $1500 off of MSRP. Purchase floor model or last model year model. Speak directly with the sales manager, very helpful and straight to business with negotiating price. 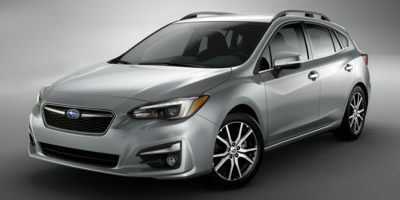 Buying a 2012 Subaru Impreza, and saving $1500 off of MSRP. Buying a 2011 Subaru Impreza, and saving $1000 off of MSRP. Buying a 2011 Subaru Impreza, and saving $2000 off of MSRP. Buying a 2009 Subaru Impreza, and saving $3000 off of MSRP. Try to get free mats, wheel lock and touch up paint. Make sure they wrote everything in invoice, since our dealer never gave us the touch up paint as promised by the rep.
Leasing a 2011 Subaru Impreza, and saving $1500 off of MSRP. The vehicle has good value: all wheel drive and powered by regular gas instead of premium gas. The dealer was straight forward and recognized the CarCost membership upfront. I did not need to negotiate and the price was competitive. So, I saved the time and stress in negotiation but the price was the same as with other eager car purchasers who chose to invest over an hour to get their savings. Buying a 2010 Subaru Impreza, and saving $2000 off of MSRP. Leasing a 2008 Subaru Impreza, and saving $2000 off of MSRP. Leasing a 2010 Subaru Impreza, and saving $1500 off of MSRP. Leasing a 2010 Subaru Impreza, and saving $2000 off of MSRP. Leasing a 2009 Subaru Impreza, and saving $1500 off of MSRP. Buying a 2009 Subaru Impreza, and saving $2500 off of MSRP. Great service and customer care at Willowdale Subaru. I intended to buy the car at Subaru of Mississauga, but the service and sales people were terrible. Do not go to Subaru Mississauga. Leasing a 2009 Subaru Impreza, and saving $2000 off of MSRP. The negotiations were straight to the point. There were no lengthy discussions with the dealer. I had contacted the dealer to ask him what price he was offering for the car. He had given me the best price out there for my car. And I took it. One of the best car buying experiences ever! =) Warren is very easy to deal with and did not hassle us with the standard sales ploys. We were in there for one hour which includes the 20 minute test drive. Very helpful and knowledgeable, Warren made sure we received the best deal possible. Buying a 2009 Subaru Impreza, and saving $2000 off of MSRP. Chose the dealer because it's close to home. They were able to give a couple of freebies - car mat, 1st oil change, etc. Other than that, they are $100 more expense that my usual car broker. They weren't going to give us any decent deal until we came back the second time with a quote from my usual car broker, and a quote car cost canada. Leasing a 2009 Subaru Impreza, and saving $500 off of MSRP. The wholesale price report is a good way to know how badly you're getting hosed. The dealer will still make the same money regardless, they'll just nail you with fake fees at the last minute to make up the difference from what they normally make with everybody else. Buying a 2008 Subaru Impreza, and saving $1500 off of MSRP. The dealership and sales rep were recommended to me on the Wholesale Pricing Report. Having the Wholesale Price Report available to me, the sales rep at the dealership was well versed in all the infomation given on the Car Cost Wholesale Price Report. The only negotiations we had was what would be a fair markup on the dealer's cost. My report showed what a range of a fair markup would be, we agreed on the exact percentage, and the deal was done. Very quick, very simple. Leasing a 2008 Subaru Impreza, and saving $1000 off of MSRP. The dealer was very willing to take the hassle out of negotiating and made the process very easy. I recommend this dealer and sales rep - very friendly, helpful and took a lot of time with us especially considering this wasn't a huge money maker for them. This dealership was very knowledgeable about the car I wanted and also had prior knowledge of CarCost Canada. They saw my printed information from CarCost and that I had taken 3% off the dealer's cost. Absolutely no haggling....my offer was accepted. One of the easiest car buying experiences I have had in many years. Highly recommended. Buying a 2018 Subaru Forester, and saving $1000 off of MSRP. Buying a 2017 Subaru Forester, and saving $250 off of MSRP. Leasing a 2012 Subaru Forester, and saving $2000 off of MSRP. Leasing a 2012 Subaru Forester, and saving $1500 off of MSRP. I get the sense that there isn't as much room to bargain in Canada as in the States, but Car Cost has helped me get a good deal. Some dealers will tell you they will accept the Car Cost numbers, but then find ways to increase the price, others will tell you there's no way that they can afford to do a deal at that price. You can find a dealer who will go with the Car Cost numbers and don't be afraid to ask for lower. Good luck. Leasing a 2011 Subaru Forester, and saving $2000 off of MSRP. I mentioned to the sales person that I have a Car Cost Canada Report, he takes a reasonable profit on top of the dealer cost. We also get the factory-to-dealer rebate which showed on the report only, not on other media, even their official website. Buying a 2011 Subaru Forester, and saving $1000 off of MSRP. CarCost Canada automatically contacted above dealer. Sales manager emailed me promptly and invited me to the dealership. Very courteous and businesslike approach, no hype. Buying a 2011 Subaru Forester, and saving $2000 off of MSRP. The reports were useful in providing an excellent base from which to start negotiations and made the process more fair overall. Buying a 2010 Subaru Forester, and saving $1500 off of MSRP. Buying a 2011 Subaru Forester, and saving $1500 off of MSRP. Since CarCost contacted the dealer, the dealer already knew I was coming in with the CarCost info and passed me to the rep for volume e-sales. Is that good or bad I don't know. So instead of negotiating from Retail price down you are essentially negotiating from Wholesale price up. That means you have already set the maximum bottom price yourself by starting at Wholesale. Still not convinced that is a good thing. But maybe the markup is indeed that slim. Buying a 2010 Subaru Forester, and saving $3000 off of MSRP. My advice is to do decide on what kind of vehicle best suits your need and read Consumer Reports, speak to people, read blogs for their take on the different brands making that type of car. Narrow it down to 2 to 3 cars, then test drive each. I considered a Subaru Forester and Hyundai Santa Fe because I wanted an SUV with all wheel drive. In the end, I decided on the Forester because of the better safety and reliability. After I ordered a Car Cost Canada report for the Forester, my email address was sent to the nearest dealer. I dealt with one of the managers who knew about the Car Cost Canada reports and I offered a profit markup of 4.5% above the wholesale price (Car Cost Canada recommends between 3% and 6% above) and then deducted a rebate indicated in the report. The manager agreed and we made the deal. The sales rep was good, but I am not yet sure about the dealership. One of the rooftop aero bars was installed facing the wrong way. I had to get a new tire and had to leave the car a day because tire was not in stock. Buying a 2010 Subaru Forester, and saving $2000 off of MSRP. I test drove comparable vehicles, like the RAV4, CRV and Tuson. I like the handling of the Forester the best. I chose to deal with Willowdale Subaru because they are closest to home. Car cost canada gave me the invoice price to start my negotiation and the confidence at least I pay a fair price. Leasing a 2010 Subaru Forester, and saving $2000 off of MSRP. Buying a 2010 Subaru Forester, and saving $1000 off of MSRP. Leasing a 2010 Subaru Forester, and saving $4000 off of MSRP. This is the 3rd vehicle leased through Willowdale Subaru. The rep that we dealt w/us (originally) on this vehicle had only been w/the company for a couple of weeks and didn't have her facts straight. We then dealt w/the Leasing Manager, Warren Khan, and all of our issues were addressed and we got a great deal and great customer service. Leasing a 2010 Subaru Forester, and saving $1500 off of MSRP. Print out the price report and take it with you. Bring in the Car Cost Canada report and show it to dealer for lower price. Don''t forget to negotiate/include tonneau cover and winter tires and rims for wholesale price cost to dealer added to total vehicle price. Overall, buying from Willowdale Subaru was a great and hassle-free experience. Buying a 2009 Subaru Forester, and saving $3000 off of MSRP. There is not a lot to negotiate since Subaru does not have a big mark up, but at least you can use dealership incentives and meet them half way on the price for a deal you will be happy with. Buying a 2009 Subaru Forester, and saving $2000 off of MSRP. Why I chose the Forester: - safety features are all standard - good handling and good AWD system - conservative looks Why I chose Willowdale Subaru: Sales rep (Braden) was very helpful and let us try the car on highway. How I used the Wholesale Price Report: Unfortunately, I didn't buy it before I bought the car. Had I bought it before, I could have gotten a better price. I tried the downtown Suburu dealership, but I wasn't impressed by the sales person (David Robe). CarCost Canada recommended Willowdale Subaru,and after test driving the Impreza, Legacy and Forester, we settled on the Forester. Tibor was our sales person, and he was direct and we didn't feel like he was trying to push anything onto us. The one negative aspect of the transaction was that the dealership would not give us the free GPS system that they were offering to all new buyers. Tibor wanted us to know that his manager would not agree to a price reduction (based on the CarCost report) and throw in the GPS. CarCost Canada should ensure that dealers should throw in whatever incentives exist, rather than deciding about then discriminating against CarCost customers. I offered 3% above dealer cost and it was accepted - I dealt with the manager, Jason Li. It was a very easy and quick negotiation process. Buying a 2009 Subaru Forester, and saving $1500 off of MSRP. Buying a 2009 Subaru Forester, and saving $2500 off of MSRP. 1. I really enjoyed doing the deal by e-mail instead of face to face. I contacted this dealer and two others for quotes. The one referred by CarCostCanada was the most forthcoming. 2. Without CarCostCanada I would not have known about an unadvertised $500 factory-to-dealer incentive. The dealer referred by CarCost automatically passed that on to me. I appreciated that. 3. I did not appreciate the dealer's attempt to tack on a $495 registration/warranty fee to cover his overhead and the cost of etching that I did not want. 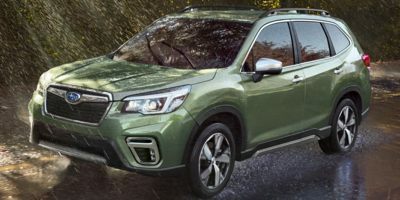 Subaru Forester is a hot car due to its SUV of the year award...there were no factory incentives at this time, however my savings were still substantial. Instead of paying MSRP, I paid a reasonable markup based on the dealer cost. No hassle on negotiation. No worries on paying too much. This is the way to buy a car! Excellent support and service from Willowdale Subaru. Highly recommended. P.S. I could have saved more than $5K if I bought an Acura RDX as the car cost report shows factory rebates of $5k for RDX in Dec/08...I could have saved this $5K factory rebate plus another saving from the MSRP differential. The sales department was good but the service department was bad. Leasing a 2009 Subaru Forester, and saving $1500 off of MSRP. Buying a 2018 Subaru Outback, and saving $2000 off of MSRP. Excellent service and they had no issue accepting your outline of costs. Buying a 2018 Subaru Outback, and saving $2250 off of MSRP. Buying a 2018 Subaru Outback, and saving $500 off of MSRP. Buying a 2017 Subaru Outback, and saving $1000 off of MSRP. Very good service, car was ready for pickup in les than a week, very pleased with the employees there, especially Kirk. Once again, thank you! Buying a 2017 Subaru Outback, and saving $1500 off of MSRP. Buying a 2012 Subaru Outback, and saving $5000 off of MSRP. Buying a 2012 Subaru Outback, and saving $2500 off of MSRP. 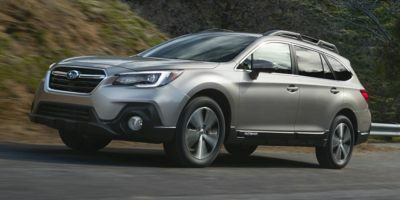 I was contacted by Willowdale Subaru shortly after generating a CarCostCanada report on the Subaru Outback, and they offered invoice+3% right away. I also find www.thecarmagazine.com a very good source to research on pricing (which is under Armada Data Corp as well). Buying a 2012 Subaru Outback, and saving $2000 off of MSRP. Leasing a 2011 Subaru Outback, and saving $4000 off of MSRP. They were the only dealership to honour the Car Cost pricing. On that note, I was thrown off a little bit because I intended to get the Outback base at first. When they were sold out, the only vehicle left was a higher end model. I couldn't access the Car Cost website from my phone, so I had to rely on my memory. I think I came pretty close after the calculations but it would have been alot easier knowing and purchasing the car I wanted. Buying a 2011 Subaru Outback, and saving $2000 off of MSRP. I looked at the total market plus the suggested markup range that the dealer might accept. In my case the total markup was $3,000 and I offered $1,000 which was accepted. Also got the cash credit. Car was ready for pick up in 2 days. Everything as advertised, easy transaction, and little stress when the dealer knows you're with Car Cost Canada. Highly recommended. Buying a 2011 Subaru Outback, and saving $5000 off of MSRP. Buying a 2011 Subaru Outback, and saving $1500 off of MSRP. Once we met with the dealer, knowing we came through Car Cost Canada, he gave us a 4% markup. Buying a 2011 Subaru Outback, and saving $6000 off of MSRP. Willowdale Subaru was convenient to our home. The salesperson was not happy when we walked in with the CarCost paperwork, but overall I was happy with the service. Buying a 2011 Subaru Outback, and saving $4000 off of MSRP. Do your shopping around and don't feel pressure to buy. Spend time to research your choices. Don't buy in a hurry. Buying a 2011 Subaru Outback, and saving $3000 off of MSRP. Buying a 2010 Subaru Outback, and saving $2500 off of MSRP. Be aware of all extra options if you have a set budget. Buying a 2010 Subaru Outback, and saving $4000 off of MSRP. I told him I was coming from CCC and he automatically gave me the dealer price +3%. He said they like it when people are upfront that they have this information and not playing games and that they will give their best rate right away. Buying a 2010 Subaru Outback, and saving $2000 off of MSRP. I told the dealer I was going to use Car Cost Canada. They immediately started to negotiate up from invoice price instead of down from MSRP. We just had to agree on what is 'fair' markup based on the vehicle. Identify any 'admin' fees in advance of the offer process just so you can identify all hidden costs before finalizing on a vehicle price. Buying a 2009 Subaru Outback, and saving $4000 off of MSRP. Let's see, CarCostCanada was slow in posting the $1500 cash back so I had no idea why dealers were willing to go so low - until I saw it on a competitor's site. So low marks there. Then, 3 days after buying the car, additional $3800 cash back. Ouch. Overall, can't say this website was much use. Buying a 2008 Subaru Outback, and saving $3000 off of MSRP. We did our math prior to meeting the sales rep and we agreed on a 3% mark-up. Very straight forward and pleasant experience. Buying a 2008 Subaru Outback, and saving $4000 off of MSRP. Jason Li in Willowdale Subaru is very helpful, 10/10 However, our Sales Rep is the reason I am rating Willowdale Subaru 8/10 instead of 10/10. Buying a 2008 Subaru Outback, and saving $5000 off of MSRP. Total savings includes factory rebate; even more when factoring in financing. I was upfront regarding my research, including CCC price report - came to an agreement very quickly with no games, just minor adjustments. I settled on the Outback because it's rugged, flexible, safe and has a good total environmental footprint (including manuf & disposition). I was ready to buy from the first dealer that treated me well and close to my $$ expectations - Westboro, especially Jacques' patience and dealer support, won me over. 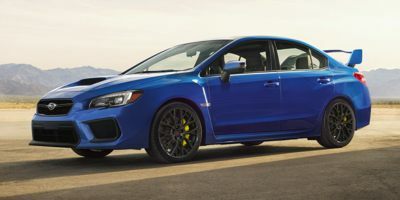 Buying a 2018 Subaru WRX, and saving $1000 off of MSRP. Dealership was great! Afshin had a man named Bruce Zhou help me and he was very knowledgeable about the model. I was treated with respect and as a savvy consumer. The business office was great too. Not pushy at all. Gave me information and time to decide. 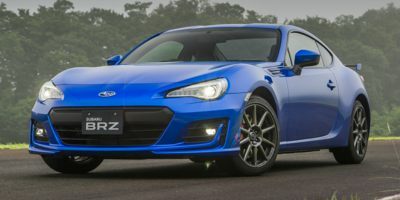 Buying a 2017 Subaru BRZ, and saving $1500 off of MSRP. 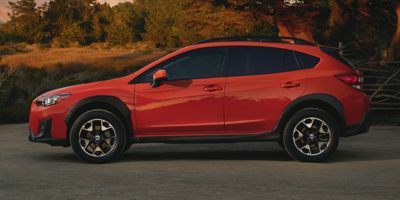 Buying a 2017 Subaru Crosstrek, and saving $2250 off of MSRP. 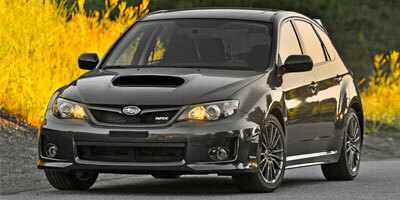 Leasing a 2012 Subaru Impreza WRX, and saving $4000 off of MSRP. Buying a 2011 Subaru Legacy, and saving $2000 off of MSRP. Read all the buying tips taking the emotion out of the purchase helps a lot in reducing the stress. Very easy and straight forward to deal with. Buying a 2010 Subaru Legacy, and saving $6000 off of MSRP. Buying a 2010 Subaru Legacy, and saving $7000 off of MSRP. Very willling to negotiate and offer a good deal. Leasing a 2010 Subaru Legacy, and saving $6000 off of MSRP. Leasing a 2010 Subaru Legacy, and saving $1500 off of MSRP. My sales rep was very good. I''d recommend her to anyone who''s interested in going to Willowdale Subaru. They weren't budging much on the list price as the car was still in demand when I bought it (mid February, 2010). I was only able to get them to reduce $1300 from list. Maybe you can do better. Buying a 2010 Subaru Legacy, and saving $2000 off of MSRP. Buying a 2009 Subaru Legacy, and saving $4000 off of MSRP. My advice would be to negotiate off the cost structure. Be reasonable and polite. Jason Li was great to deal with. Buying a 2009 Subaru Legacy, and saving $2000 off of MSRP. Buying a 2008 Subaru Legacy, and saving $5000 off of MSRP. It was fantastic to walk into the dealer armed with the knowledge CCC provided to allow me to negotiate without the hassle. 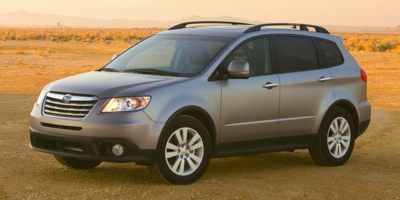 Buying a 2010 Subaru Tribeca, and saving $9000 off of MSRP. I already have a Subaru (Forester), but needed a larger vehicle for more passengers. I test drove 8 different vehicles (5 different brands) before deciding on the Tribeca. The value was just too good to pass up, and the reliability from my current Subaru Forester sealed the deal. As soon as the dealer saw my print out of the wholesale price, in addition to knowing what kick backs they were going to get- it became extremely easy to talk prices.